Always responds to emails and phone calls in a timely manner. Everyone is always so helpful and professional. I recently changed my Auto , Home and Excess policies over and had no issues, problems or errors. Halo makes the process stress free which is what I really appreciate. Thanks everyone! The team is always able to take care of changes and updates quickly and are always able to help with any questions that I have. We are absolutely happy with the product that was diligently researched for our needs. The communication, back and forth – on-line, via telephone, and in person, about possibilities for our situation, is greatly appreciated. The care given to make sure we were and are able to continue hosting the educational events we do, is reassuring. The timely manner in which everything was taken care of was remarkable. Thank you! I traded a 2011 Acura for a 2018 Acura and wanted the coverage transferred to the new car. Carlyne Weber immediately changed over the coverage to the new car very quickly and sent me a ID card just as she promised. This gave us a peace of mind knowing that we were insured on my wife’s new car. Now i can go to the DMV and pay the sales tax and everything will be completed. Her service was outstanding. Thanks Carlyne. The team at Halo are always great to work with and Carlyne Weber can not be nicer. They are always very quick to help with any issues that come up. I’ve found HALO insurance group to be very responsive, especially by e-mail, and I trust that they are brokering affordable insurance programs of value for me. Your staff has always been very responsive to our needs or requests. The direction in every case has been right on target. We could not be more happy your group Thanks for everything. Ms. Denean was very professional and reassuring that she would do her best to help meet my needs. I’m fully satisfied with how prompt everything went. Found an insurance carrier more reasonably priced after my requirements changed. Always find answers for me when I need them. Your service was prompt and thorough. It was personal and considered the present needs of my business, yet allowed room for future growth. In short, I felt well taken care of. Everything – very responsive and able to assist my needs. We found HALO very easy to work with in finding policies that suited our needs, attentive to detail and responsive throughout the process. We would certainly recommend them to others. Charles was very patient with me and my chaos. He wasn’t pushy and very understanding. I always get a prompt call-back re my questions. When ever I need to talk to someone I always get a response right away and they have always been great at keeping me updated when they find an insurance company that has lower rates than the one I have. Very knowledgeable and friendly! Attention to detail, and first class service. My agent took the time to show me what policy worked best for my situation, and saved me a lot of money in doing so. Very pleased indeed. Halo agents are very attentive and found me a great rate. They helped me realize that I don’t have to just go with companies that I see on tv with the giant marketing budgets. I can get the same or better service and coverage with a company not so well known to the masses. Carlyne who has grown with the company is very service based. She is both attentive and thorough. She is knowledgeable of the product she is selling . And if unable to answer questions at the time asked. She is more than willing to accommodate. I find the staff to be professional and approachable. I would recommend them to any of my colleagues. Halo insurance is the only place I’ve worked with that give me specialized attention and keeps on top of all my policies. Whenever I call them for help or if I send our employees to them, they are always helpful, answer the questions completely, and do it all with a smile. That’s so important. I’m glad we found Charlie and Carlyne. The Group was very helpful in directing me to what I was looking for. Carlyne’s customer service is AWESOME! She always helps me and does so very quickly. By far the best insurance professional I have ever worked with. Always professional with our best interest in mind. We have never had a question or issue that wasn’t addressed immediately. You found the product we needed when we needed it, and at a reasonable price! Questions and concerns are always answered quickly and professionally. I get information quickly. There’s always someone to answer my questions. I’ve recommended Halo to others. We appreciate Halo’s personal and courteous service. They are always willing to work with you to find the insurance solution that best fits your needs. And they make the process simple and painless. Personal care and quick response. Our agent is so pleasant and very helpful when we have questions . Very great. You are always ready to help with any problems. Any time I experienced a need for a claim or just required an answer, I always received great service or an answer!!!!!! You explained everything quickly and thoroughly. I was provided very prompt and accurate service in a severe time of need. I feel it is always a great thing to know you can count on the people you have chosen to help aid in making your business a success. Just so pleased with everything. Carlyne is always very helpful and prompt in answering any questions, coverage changes, proof of insurance, or anything we may need! We count on HALO to provide us with the best coverage at competitive prices and we have always received top notch service. The team at Halo were and have always been very helpful and supportive. Charlie is working diligently to help me through the problems with the insurance company after the water pipe broke. It’s still in the air but at least he’s moving forward with the claim and I truly appreciate that! You have saved us money and when we have questions or concerns your team are quick to respond with a answer or address the concerns. You took the time to find a policy I could live with in a timely fashion. They helped me out, when I asked for it. They remember to call me a few weeks later like I asked and treated extra nice. I’ve been very happy ever since I started doing business with the Halo Team. Ms. Weber always seems to put forth great effort in finding competitive prices for me. Customer service has always been very satisfactory. HALO’s staff does a great job in getting any issues resolved quickly. Definitely would recommend this firm for all insurance needs. You took the initiative to review my coverage and find ways to save on my premium. You treat as a person not as a contract. Feels good this day an time. Charlie and his team make my life so much easier when it comes to our car and home insurance. The process is very simple and they take care of everything for us within one call/email or two. Carlyne is on top of everything when updates need to be made and is very diligent when following up. I highly recommend using HALO for your insurance needs! 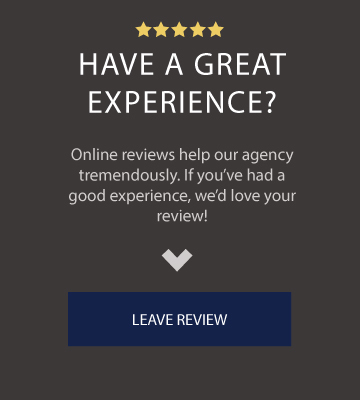 Carlyne Weber and Harold long have been absolutely wonderful in providing information which helps me to make the best decision for myself and my family as well as our homes and Automobiles. Customer service is top notch and Not only would I recommend this company to anyone that was in need but I have already recommended this company too many of my friends and family. Everything!!! You all take good care of me!!! Great job in helping me when my Jeep was totaled!!!!! The staff is very helpful and gets back to me quickly when there is a problem. You are always very attentive to all of my needs, taking care of them on a timely basis, with compassion and genuine concern. Thanks for always doing a great job! The quick response when I call you. I really appreciated that Halo Insurance & Benefits Group was quick to get back to me with estimates for car insurance. My situation is less than ideal, so I really appreciate the fact that Halo treated me with the decency that every customer deserves. A representative from Halo offered to revisit my rates in 6 months to a year in order to see if I can obtain a better rate. Overall, the customer service provided by Halo was superb and I will be quick to recommend them in the future. You have taken the time to explain and work with us in every way possible making this an enjoyable experience to date. I recently recommended Halo to a friend. Great company, worked hard to find wonderful alternative to a package policy (home/auto) that we had been with for almost 30 years who were no longer offering full coverage to masonry home, earthquake coverage or even brand new roofs. Answered all of our questions, got everything in place and we wound up with much better coverage at a very competitive rate. Lots of personal service and attention to detail, highly recommend. Charlie is an amazing guy! Very professional and he really knows his stuff. I work with the public every day and I talk about him all the time. I highly recommend his Insurance group for any/al insurance needs! Halo found me a great package rate for my assets, was easy to communicate with, and was very patient with all my questions. Halo was also flexible with my particular needs as I was closing on a home, but was not entirely sure if we would close by the set closing date. So, I was not sure when to begin coverage. Very helpful company. Simply finding great rates for packaging home and auto insurance. Easy. 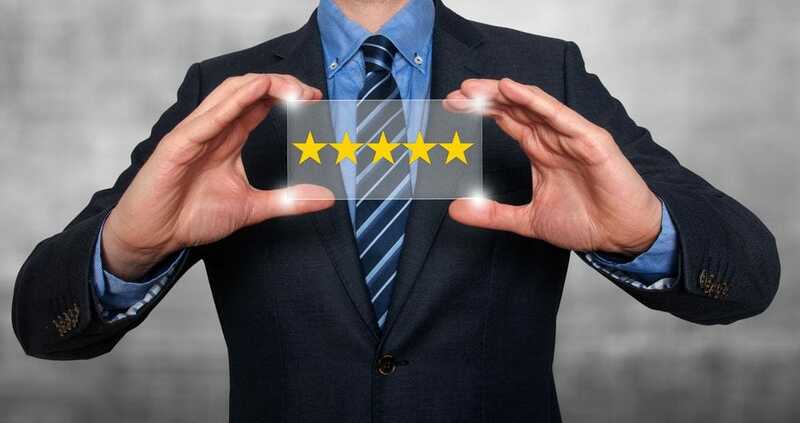 HALO Insurance is very knowledgeable and thorough in providing the necessary information to make an informed decision regarding insurance and benefit coverage for our agency…highly recommended! whenever I call with a problem or question. It is always addressed the same day. Love the prompt response to questions and how Carlyne has provided my clients with the necessary documents they need. Halo Team/Carlyne did a great job providing me with insurance options and helping me to find the most cost effective and broad insurance coverage available for my rental and personal property. Carlyne Weber is what you did right. Spent time needed to research issues I was having and was always pleasant in spite of the problems that kept arising. It seems like your team is on top of things and are always trying to save me money with out me saying a word. Very friendly any time I call or if they call me. Personal, one on one interface. If I have a problem, I have a real person to discuss it with. Super friendly and always very responsive. Caring, alert, friendly, persevering. Thanks. The personal service we receive from Harold and Carlyne is why we continue to use HALO for our insurance needs. Helping us choose the insurance we needed. They have made sure they got me the best rate. You always respond in a quick manner to a need or question!!! Friendly staff!!! Keep up the good work!!!! Found many rates and varied options for each particular plan, highlighting specific recommendations which I found to be very helpful in that selective process. Awesome rate on auto and renter’s insurance and great customer service. Every detail about my policies were explained to me in a way anyone could understand. Will definitely recommend that all my friends and family give them a call and they will also be my first stop for all future insurance needs. Very friendly customer service. Prompt response time. Always excellent follow up & research on the best quality & cost efficient products. Thanks!! Through explanation of our insurance coverage and friendly office. That made me feel comfortable while conducting our business. Carlyne is great! Very helpful and fast. Thank you! I was able to reach the right person to help me with my insurance needs *right away*. No, “press 1, press 2” blah blah blah. Carlyne made time for me. I also appreciated her patience with getting my quote right and my (many) questions as a new Missouri resident. As I mentioned to Carlyne, I selected Halo based on 1) a search of Bristol West’s database, 2) the name, “Halo” sounded reputable, and 3) Halo’s website is very professional and easy to navigate. I look forward to being a customer for a long time. Thanks! Halo has always went above and beyond to make sure I get the best coverage and Carlyne has always helped me find the most affordable. When I dropped the ball in regard to adding my new car, you took care of it! We appreciate your expertise…and the very professional and thorough staff! The staff is always happy and eager to answer questions when they arise. Business is always explained to the fullest and the best options for my family are always given. Because I speak with you or your staff by phone from time-to-time, I feel that if I had an accident you would be there for me and my family. You have always impressed me with your knowledge and the prompt attention you have always given me. I feel that you’ve got my back. We always get very prompt and excellent service from our broker and the office staff! We wouldn’t go anywhere else for our insurance. We are taken care of. Get the info I needed in a timely manner! Great customer service and timely responses to emergencies. My experience: Quick, efficient and done! That was my experience when checking out Halo Insurance, via a friend’s recommendation. The inquiry was painless and the results were my saving $$$. It took no time to transition right on out of a company I had become falsely secure with. You see, I’m not always the biggest fan of change, surprisingly (or not, if you ask my family). I am a creature ‘o habit when things seem to work well, systematically. That certainly can be a downfall because you don’t keep your eyes open to whether or not those things that “work” really work for me in the way of smart spending. So, I thank you: Thank you for the professionalism and speedy response! HALO Insurance provides me with more then adequate coverage on my home & auto and keeps me up to date with changes that could effect my home or auto. I appreciate the great service I always receive when calling with a question. It always feels like your dealing with a friend which makes everything so much easier. Keep up the great job! Easy to reach, always informative and helpful! I appreciate that every year you take time to shop around so that we are getting the best possible rate. Your company is so very friendly. You always know the answers to my questions and you don’t make me feel like any question is stupid. You also fill every request I have weather I need proof of insurance, or copies of policies. Thank you for all your dedication and hard work! Glad I found you. I have already told several of my friends about HALO. Go above and beyond making sure all my needs are met. I like Harold. He has given good service, and the people in the office have been nice to me, not rude. The service from HALO has been exceptional. No sales pressure with all options for the best value presented. You are always on top of things for me and that says more than you know. The service has always been top shelf!!! Whenever I needed an answer or help, it was just a phone call away!!! I felt that HALO was sincerely trying to get me the coverage I should have at a reasonable price while educating me about the details of (and gaps in) my policy. You made it easy to meet and talk to you about my insurance needs. 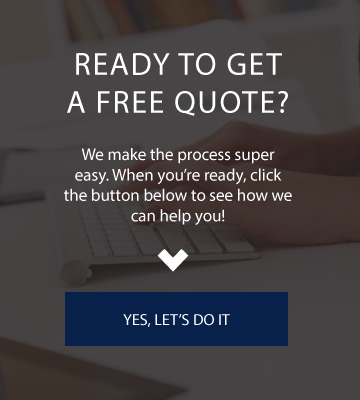 When we ask for a quote we get it right away. Advice on coverages needed to protect my properties and my exposure to other legal liabilities. Also the ability to give me the best pricing through shopping the many companies they represent. I think the sincere compassion & sense of urgency are two of the great qualities that stand out to me. There are times when a good listener is important, & HALO has shown me time & time again, that that come through, always “burning” on all cylinders!! Thank you so very much! !